Our RegTech team is a blend of regulatory and business experts, academics and software engineers. Helen Gough is a practical executive who leads organisations through the dynamic interplay of systems and strategy. She is intrigued by the resource combinations required to orchestrate growth. Helen provides focus and discipline to enhance capabilities across the business spectrum, from startups to governments and multinationals. She embraces the complexities of different cultures and ways of working, as well as the more detailed considerations of compliance content and making IT platforms talk to each other. Helen has 20 years’ experience in designing and delivering improved outcomes in regulated industries including a decade working in the United Kingdom and Europe. She holds a Bachelor of Commerce, a Bachelor of Economics and first class honours in Business Management from the University of Queensland, as well as a Master of Business Administration from Saïd Business School, Oxford University. She is also a graduate of the Australian Institute of Company Directors. As CEO of Bespoke Insights, Helen brings her emotional competence, tenacity, commercial acumen and commitment to quality. She can often be found taking pictures or wherever there is good food. Our brilliant technology team are constantly evolving the Bespoke platform to solve your regulatory and compliance requirements more effectively and efficiently. Thomas Cranny brings a driven and analytical approach, he applies his scientific and development skills to the maintenance and implementation of Bespoke’s API Design, database design and backend application development. Thomas’ skill sets are particularly suited to implementing quality solutions and ensuring data integrity with a focus on Frontend Technology, Data Visualisation, Analysis, and Management. Working closely with the consulting team, Thomas has developed Bespoke Insights’ Waterfall Graph, and Inflation Escalation Tool. Thomas’ expertise and plain language explanations of technology helps him serve as a client contact and assists with operations, deployment and uptime management ensuring Bespoke’s dependable platform. Thomas has a Bachelor of Engineering in Software Engineering & a Bachelor of Science in Genetics, both from the University of Queensland. Blake Borgna joined the Bespoke Insights team as an intern. Graduating from the University of Queensland with First Class Honours and a University Medal. Blake’s brilliance and commitment as a software engineer is an asset to the Bespoke Insights team. As an IET Student Prize recipient for his thesis applying machine learning for text extraction, Blake has a strong interest in building intelligent software to solve complex problems. His focus is on applying machine learning algorithms to the development of Bespoke Insights tools. Blake is consistently advancing the practical value for Bespoke clients though data driven development, design and backend application development. Blake continues to enhance our platform and explore new products with his understanding of computer science, engineering and management. Mark Belonogoff brings to the Bespoke Insights team a strong combination of design and manufacture skills along with a systematic approach to the development, operation and maintenance of software development. 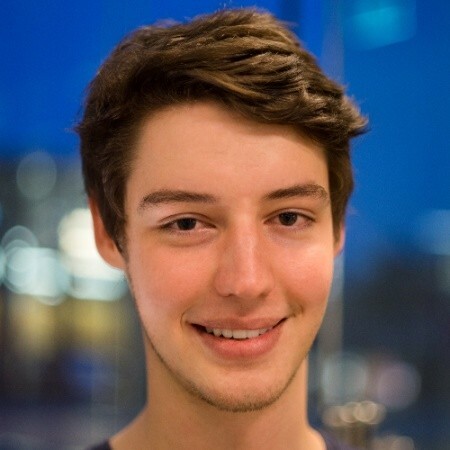 Graduating from the university of Queensland with a degree in Mechanical and Aerospace Engineering, Mark joined the Bespoke Insights team as an intern whilst studying Software Engineering, also at the University of Queensland. Continuing his employment as a graduate, Mark’s understanding of science and engineering along with psychology and sociology have equiped him with the technical expertise essential in developing and maintaining the Bespoke Insights platform. With an interest in the development and analysis of predictive models, Mark is currently developing products that will assist clients in anticipating emerging needs and the impact of changes allowing for clients to adapt their business appropriately. Our consulting team work closely with clients and our technology team to automate solutions, as well as provide research and reports, backed by their expertise in regulation and finance. Dr Damien Cannavan is the founder and Principal Consultant of the innovative software company Bespoke Insights. His expertise is chiefly in financial economics, particularly in the areas of corporate finance, valuation, option pricing, dividend imputation and econometric analysis. Damien has been a consultant to industry over the last twenty years, providing advice to both private and public sectors with a particular focus on corporate finance, valuation and modelling. He has conducted empirical research for corporate clients and his research findings have been utilised in numerous cost-of-capital decisions in regulatory settings and court cases. Damien also has considerable professional experience in both investment banking and equities research. Damien has instructed students at numerous institutions around the world, including Harvard University. In 2017 he was awarded the UQ Business School postgraduate teaching prize. Damien’s research is largely in corporate finance, with a particular focus on cost of capital issues. His PhD thesis examined dividend imputation tax credits and his research has been published in the top echelon of finance journals, including the Journal of Financial Economics. Damien holds numerous academic qualifications, including a Doctor of Philosophy, Masters of Arts (Finance), Bachelor of Commerce (Honours) and Bachelor of Laws. Dr Ronghong Huang brings a strong combination of industry insights and academic rigor as Lead Consultant to Bespoke Insights. Ronghong advises on issues relating to cost of capital, valuation, financial modelling and economic regulation. Ronghong holds a Ph.D. in Finance from the University of Queensland. He also currently lectures finance courses at the University of Queensland. Ronghong’s research work has been published in leading academic journals and was also featured in the London School of Economics Business Review. In a previous role with Aurizon, Ronghong provided advice to senior executives regarding complex regulatory issues such as asset stranding risk, the treatment of inflation in regulatory frameworks and the pricing of real options. Ronghong also has extensive experience in regulatory submissions, and managed the UT4 and UT5 rate of return submissions to the Queensland Competition Authority. Senior Consultant for Bespoke Insights, Dr. Khoa Hoang, is also a Lecturer in Finance at UQ Business School, The University of Queensland. He holds a Ph.D. and Bachelor of Commerce with First-Class Honours from the University of Queensland. Khoa’s research has been presented in major national and international conferences and published at leading academic journals. - Development of a liquidity model to quantify investable value for emerging equity markets. - Simulation analysis to evaluate fund performances. - Construction of Fama-French factors to estimate cost of capital. - Testing Capital Asset Pricing Model (CAPM) with ex-ante expectations. Wilson Liu is Bespoke Insights’ regulatory modelling expert. Wilson has been providing policy, economic and financial analysis for both regulators and regulated businesses for the better part of the last decade. Wilson has performed complex economic and financial analysis for regulators, such as the Queensland Competition Authority. He has also helped organizations, such as Aurizon, achieve business objectives and deliver services in strategic regulatory development, analyse commercial policy options, and negotiate with stakeholders, He has also heavily contributed towards regulatory submissions revenue adequacy, administration and compliance obligations. Wilson has advanced capabilities in modelling, programming and other technical skills. He holds a Bachelor of Economics (with Honours) from the University of Western Australia, as well as a Diploma in Electronics, Computer and Communications Engineering from the prestigious Singapore Polytechnic. Terri Brauer has over 20 years’ experience working in corporate companies, start-ups and family owned businesses. With a passion for being part of entrepreneurial ventures and assisting start-ups in taking an idea through to actualisation, she consults and provides guidance from conception and planning through to minimal-cost set-up. Her wide-ranging skills in design and business enable creative and practical solutions and innovative ideas for Bespoke Insights. Terri works on site in the Bespoke Insights Southbank office with the team where she assists in the development of branding, marketing, websites and maintaining business administration. Terri has studied a Bachelor of Arts at the University of Queensland and holds a Bachelor of Built Environment (Dist) in Design from Queensland University of Technology.